Before the luxury of modern technology we have access to today, people had to rely on the TV Guide to remind them what time they could catch their favorite show or movie on the small screen. If you wanted to see a newly released movie, you had to brave the crowds and head out to your local theater. Nowadays, watching the latest flick can be done with the click of a button! Mobile apps specifically designed to bring entertainment to your fingertips are all the rage, and many of the App Store’s most downloaded apps are that of the entertainment variety. 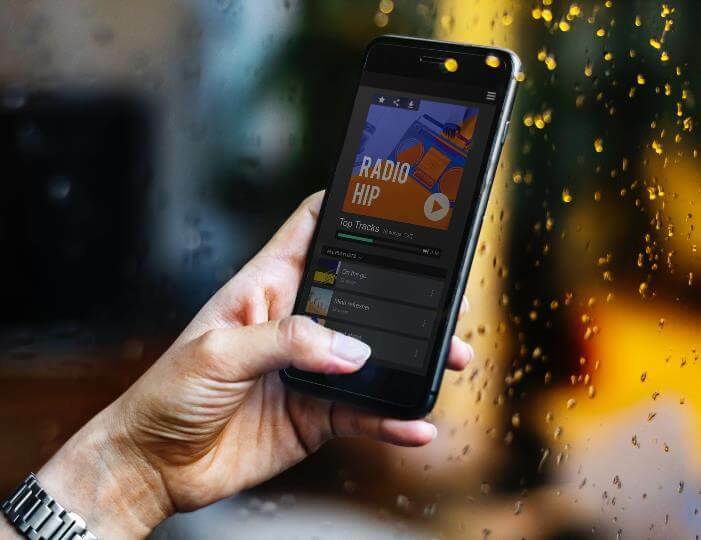 Whether you’re looking for a new show to binge-watch or just some new music to discover, here are a few of the best entertainment apps to download in 2019. Below we have mentioned some top entertainment apps you should download in 2019. So, Check them out one by one. Netflix has long been the go-to app for movie and TV lovers, as the platform has roughly 58 million users in the United States alone. The Netflix app allows users to watch their favorite movies and TV shows virtually anywhere there are, so long as they have a Wifi connection. The platform also has a number of Netflix Originals, giving subscribers access to programs that they could only find on Netflix. Netflix Originals like House of Cards, Orange is the New Black, and Stranger Things are among some of the most popular, proving that a streaming service can really hold its own on the entertainment landscape! Have you ever been in charge of planning a party or event and found yourself struggling to find quality talent to entertain your guests? The Special Guest app makes that process practically foolproof. The app, co-founded by actor and comedian Damon Wayans, Jr. and entrepreneur and bestselling author Kris Jones, functions as a mutually-beneficial platform that allows talented people to get paid for doing what they love to do. Special Guest allows talent to manage their own careers, eliminating the need for a talent agent. Anyone from solo musicians to Christian comedians can be hired through the app, making the party-planning process a breeze! Similar to Netflix, Amazon Prime Video brings a ton of movies, TV shows, and Prime Originals right to your fingertips. Prime Video is available to anyone with an Amazon Prime membership, giving you access to thousands of titles at no additional cost. Amazon Prime Video often features newly-released films, so you can skip the theater and just wait the extra month or two to watch it in the comfort of your own home! Prime Video also includes movies and TV shows that aren’t included in a Prime membership but can be purchased or rented for a set fee. Amazon Prime Video is one of the best entertainment streaming services available, and you’ll always find something new to watch on the app! If you’ve been seeing those 2018 Wrapped lists everywhere over the last few weeks, you can thank Spotify for that! Aside from creating fun end-of-year recaps of the bands and artists you’ve listened to the most that year, Spotify creates custom playlists based off of your unique music taste and listening patterns. The music streaming service is one of the most personalized and easy-to-use platforms out there, with roughly 83 million paying subscribers around the world. The Spotify app is available in both a free and Premium version, the latter of which allows users to access their playlists even without a Wifi connection. Spotify is a must-have app for people who want to discover new music and also create customized playlists for every mood, genre, and occasion! Getting to watch TV shows right when they air is a luxury that was once reserved for the lucky people with cable packages. Thanks to Sling TV, anyone with an internet connection can watch their favorite shows as they air, sans cable. Sling TV comes with three different membership options- Orange, Blue, or a combination of both at a discounted rate. Sling TV lets you choose from tons of channels, including ESPN, Disney, and Viceland. At $25 a month for the Orange membership, Sling TV is more affordable than most cable packages, and you won’t get any useless channels that you never watch. If your new year’s resolution was to read more this year, Audible has got you covered. Audiobooks are convenient for people who are just too busy to sit down and read a book, and they can listen to just about anywhere. Audible lets you choose from 180k audiobooks, including new releases and bestsellers. This entertainment app is available on iPhone, Android and Windows phones, so you can take Audible wherever you are. For new users, Audible offers a free 30-day trial, so you can check out all the app has to offer before signing up! So, I have covered some best entertainment apps above. I hope you like it and try it out. These entertainment apps will help you reduce the stress of your daily life. Therefore you can enjoy your life in peace. If you are using any other good entertainment app, please comment and tell us. And don’t forget to share this cool article with your friends.